You must be at least 12 years old to participate. Youth bikes are available. 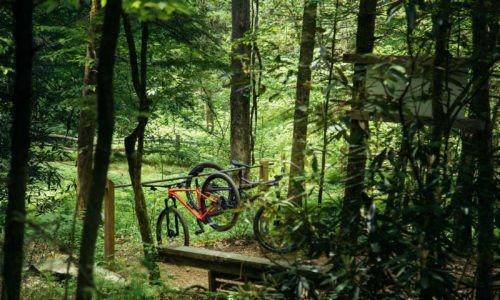 This trail isn’t for everyone, but if you’re comfortable riding a bike, have decent coordination, and are ready to sweat, then come have an unforgettable experience. If you’re up for the challenge, our expert staff is there to help you every step of the way. You must weigh under 250 lbs in order to participate. We recommend you be in moderately good health, feel comfortable riding a bike, and have decent coordination. We strongly discourage from participating anyone that has recurring injuries or recent surgeries. Everyone must sign a participant form. Those under the age of 18 must have a parent or legal guardian sign the participant form. 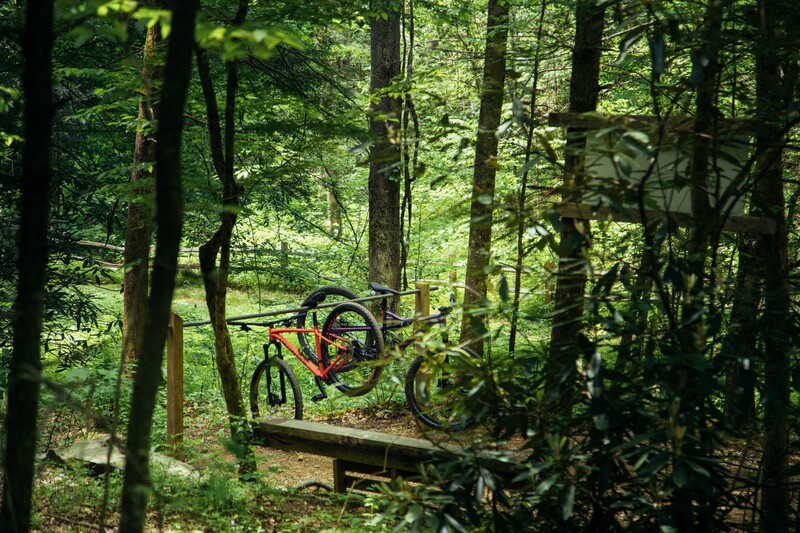 Riders under 18 must be at least 16 years old to ride the trail without having an adult ride with them (although an adult must be waiting on-site). Riders ages 12-15 must have an adult riding the trail with them. 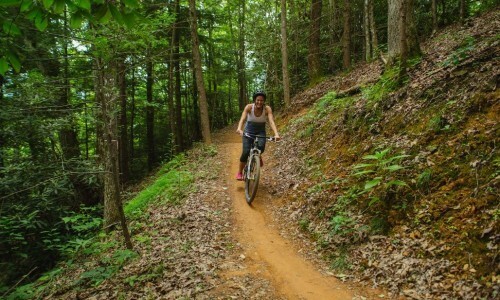 If you bring your own bike you must bring your own helmet to wear while riding the trail. 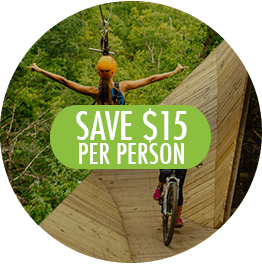 Those with serious mental or physical handicaps or disorders that would not enable them to complete the mental and physical tasks that mountain biking requires. 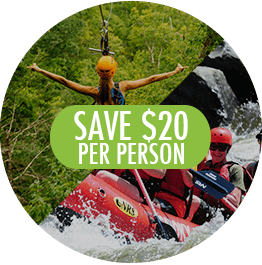 Combine ziplining with mountain biking and/or whitewater rafting (rafting available March 1st) for the ultimate Smokies adventure and save up to $30 per person. 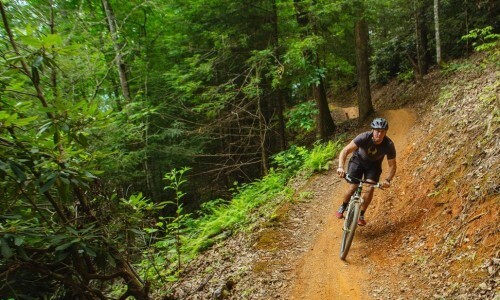 CLIMB Works and Smoky Mountain Outdoors let you package 2 or all 3 activities together for a better rate and a better vacation. 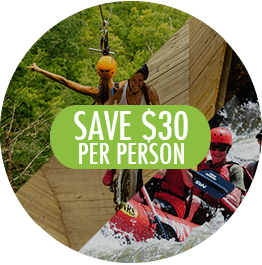 Activities can be done on separate days but must be booked together in order to get the package discount. Not necessarily. It’s more about coordination. 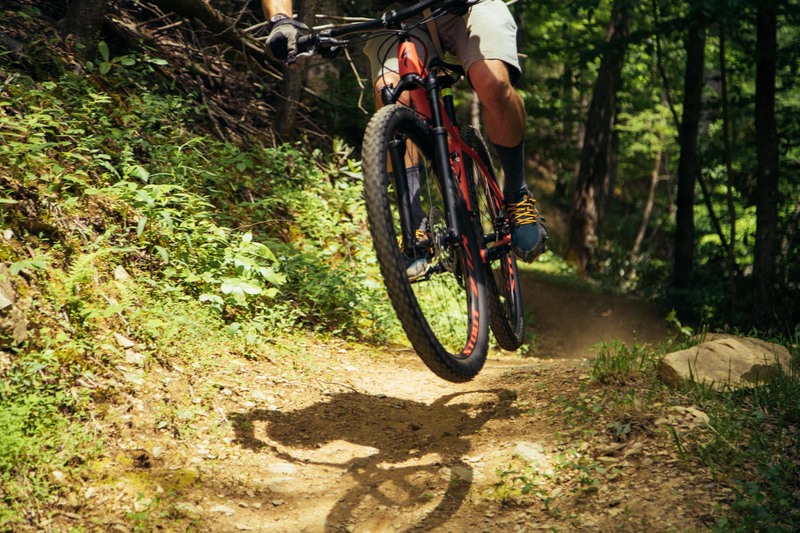 Our e-bikes allow everyone to maximize their own strength. It’s still you, only faster. 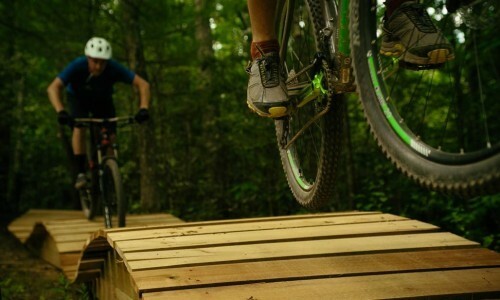 However, those who do not feel comfortable on a bike will not feel comfortable on our trail. Take the trail at your own pace — as fast or as slow as you want. You get the bike for a couple of hours, so take your time! We encourage you to take advantage of places along the trail where you can rest and take in the sights and atmosphere. 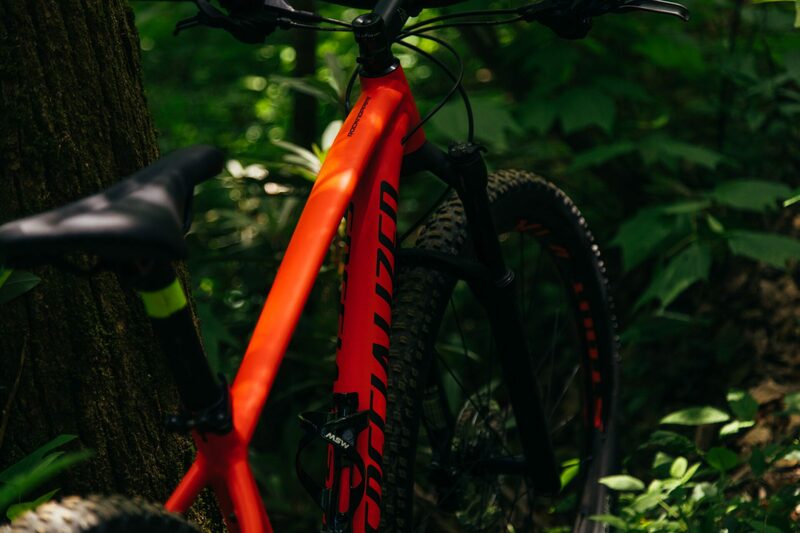 As safe as true mountain biking can be. 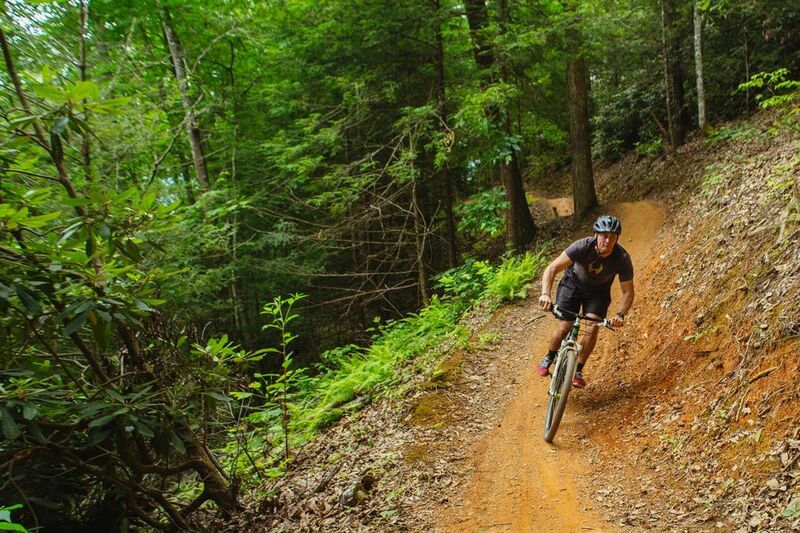 Unlike most mountain bike trails, our trail is a one-way trail so uphill riders don’t have to watch out for downhill riders. 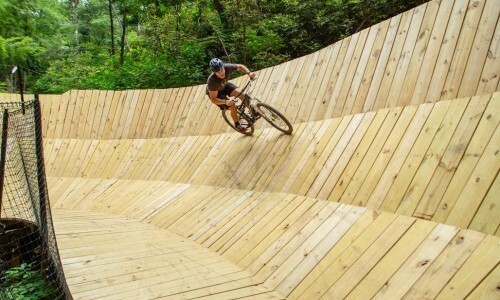 First-timers can ride it slowly with ease and conquer the trail, while advanced riders are free to ride faster to see the trail transform into more technical. We also have call boxes throughout the trail, so while you’ll feel immersed in nature, you’ll always be within reach. 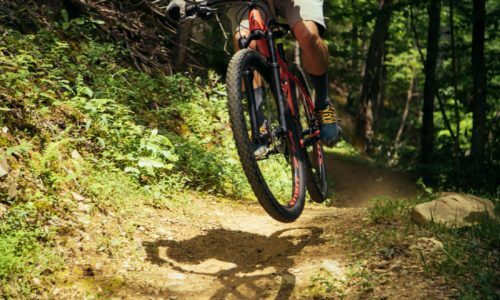 While there is inherent risk involved in mountain biking, we’ve done everything to make it as safe as possible. Do I have to make a reservations? We recommend it but we’ll do our best to accommodate any walk-ins. Call 865-325-8116 to make a reservation. You certainly can. 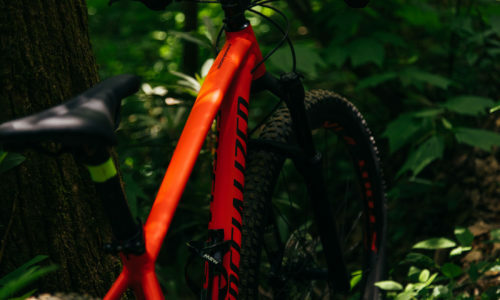 Road, hybrid or “townie” bikes are strongly discouraged as they do not provide adequate traction and control the trail necessitates. If you bring your own bike (BYOB), ensure beforehand that it is in safe, rideable condition. Feel free to call if you have any questions regarding bringing your own bike. Can I rent a bike when I get there? Yes. 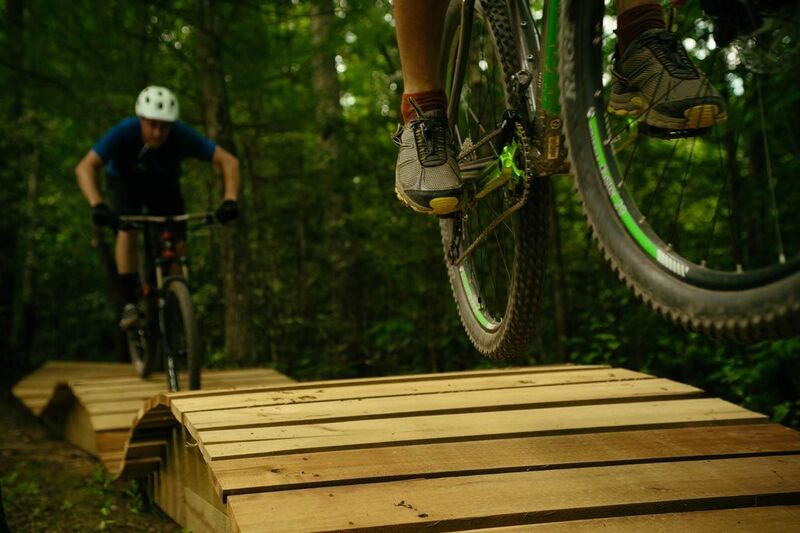 In fact, we encourage it because our rentals are high-end, Specialized E-Bikes designed for riding mountain terrain. We do have youth size bikes for children eleven and older. Because all our rentals are inspected before and after being ridden, we guarantee you a bike in great condition. Also, we’ve simplified our gear controls so newcomer and expert alike can shift gears easily making the experience more enjoyable. 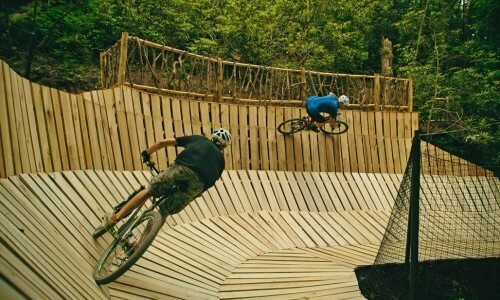 I don't want to mountain bike but my family does, should I still come? Of course. 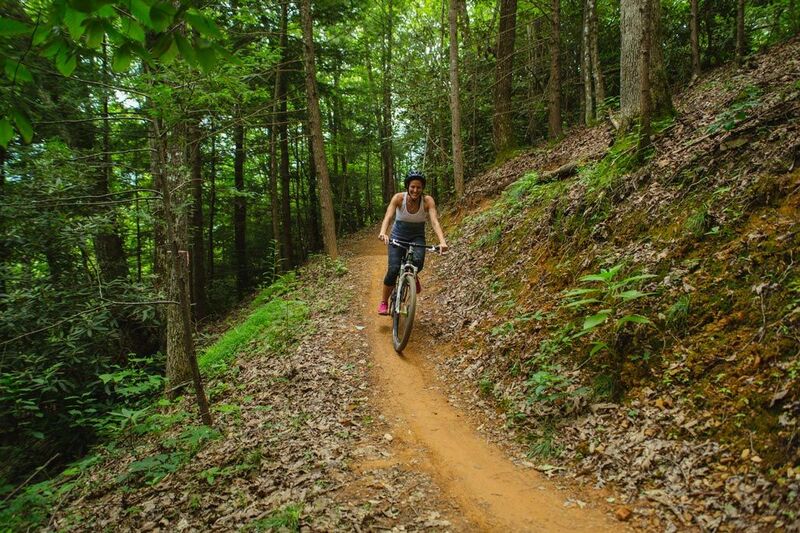 You’ll be able to enjoy the beautiful forest floor of the Smokies. We can introduce you to our “El Regis Grove” where you can sit and relax next to the creek and even be able to see your family ride a portion of the trail. We recommend bringing a book, camera, or anything else to help the time go by. I am an experienced mountain biker. Is this trail for me? Do I have to ride the bike UP the mountain? Definitely! We wouldn’t deprive you of that. But what goes up must come down! The uphill is about a half-mile long, so you’ll be at the top before you know it — victorious! Then every twist and turn of the downhill will be yours. What is The Curliest and can anyone do it? The Curliest is our flagship feature. 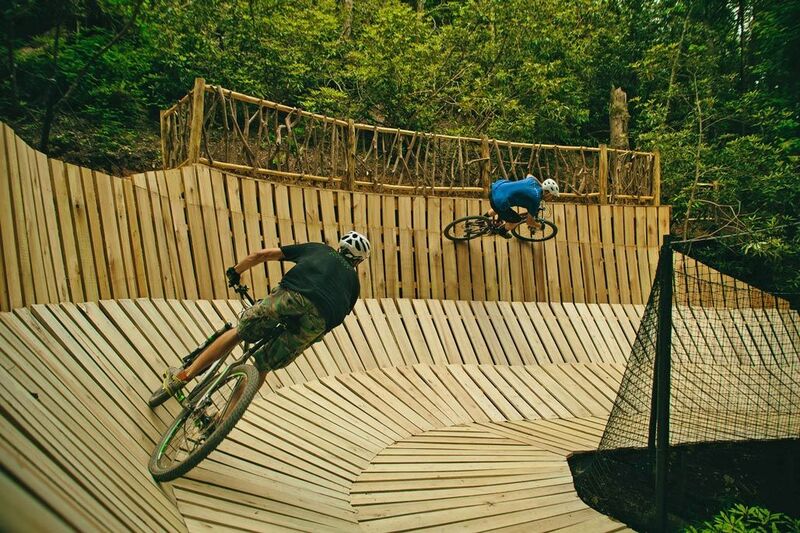 Imagine a wooden roller coaster in the middle of the forest, tailor-made for mountain bikers. Can anyone do it? Yes. 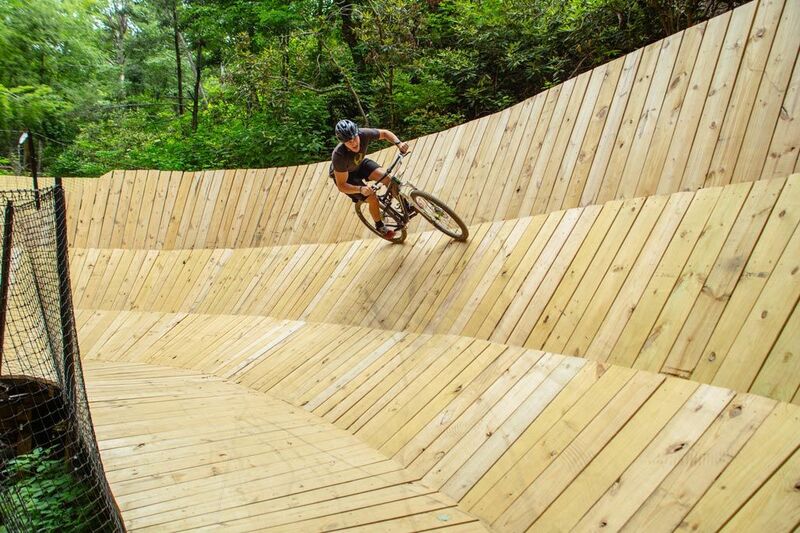 It was designed to accommodate all levels of biking experience.